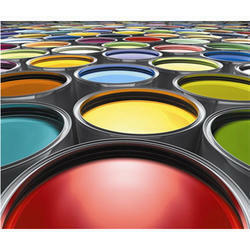 Offering you a complete choice of products which include laundry grade ultramarine blue, ultramarine blue for lime wash, ultramarine blue for master batch, ultramarine blue for inks, ultramarine blue for paints and ultramarine blue pigment for plastic & rubber. We are offering Laundry Grade to our clients. For laundry and dyeing purposes, this product is widely demanded by our clients. It colors in an even way without leaving any blotch marks on the blotches or fabric. Our vendors make use of optimum quality components and latest technology that ensures its smooth functioning and long lasting nature. We offer these ring at market leading prices and ensure that the product reaches to the clients on time. 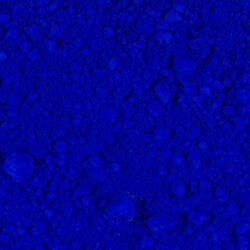 We offer the best quality Ultramarine Blue Powder which is made of optimum quality raw materials which is procured from the best indigo farms from all over Inida. Our product is highly useful for laundry and dyeing purposes. It colors in an even way without leaving any blotch marks on the blothes or fabrics. For availing sprinkling whiteness clothes. use ultramarine blue after wash. This is extremely skin friendly and is very smooth on the clothes as it not only colours of dyes but also preserves the quality of the clothes. Extremely easy to use these are the first choice for our customers. The non-shrinking. non-warping nature of ultramarine blue, along with its exceptional heat and light stability has led to the development of a range of high wuality ultramarine blue pigments specifically for masterbaichs. applications. This pigment is widely sed in applications that require improved appearance as regards brightness, transparency, surface smoothness. This color masterbatch also provides improved mechanical properties preferred for manufacturing of thin films, pressure pipes, fibres, bottles, etc. 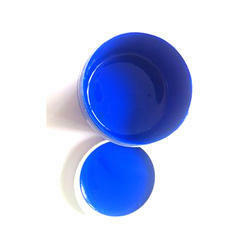 Ultramarine Blue are suitable for use in inks due to their inorganic pigment nature. They show good wettability in water systems and good resistance to organic solvents. 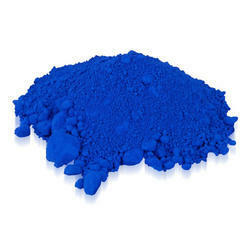 Ultramarine Blue is used in a variety of paints for Oil Paaints, Water and Acrylic Paints, water-based Emulsion Paints etc. It provides a bluish undertone, while providing uniformity in the composition. 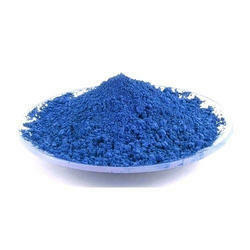 Ultramarine Blue pigment it displays high fastness to alkalis, air, light, water, detergents and organic solvents. 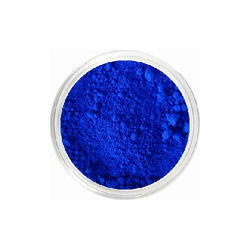 Ultramarine pigment is used to provide a reddish blue shade or to whiten polymers. It also works to provide a blue undertone to grey and black plastic parts. They are polymers, from polyolefins to engineering polymers, including rubber as well. 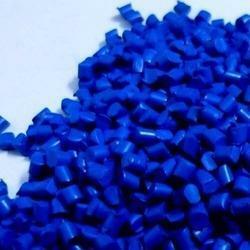 The fine particles of the Ultramarine blue maintains dimensional stability of polyolefins and other polymers, so that warping and shrinking do not take place. Ultramarine Blue is used in paper industry for whitening of cellulose pulp and the coloration of the outside coating on coloured and stucco papers. Some manufacturers used a blend of Ultramarine Blueand a optical whitener to achieve aftect optical whitening especially under a light which is rich in ultraviolet rays. Both products are very compatible and do not present any problem.